HSL will provide additional bus services on Sunday 11 December to the Christmas Path event taking place in Seurasaari. Additional services will be provided on route 24S running from Erottaja to Seurasaari every 20 minutes approximately from 11.20am to 5.30pm. 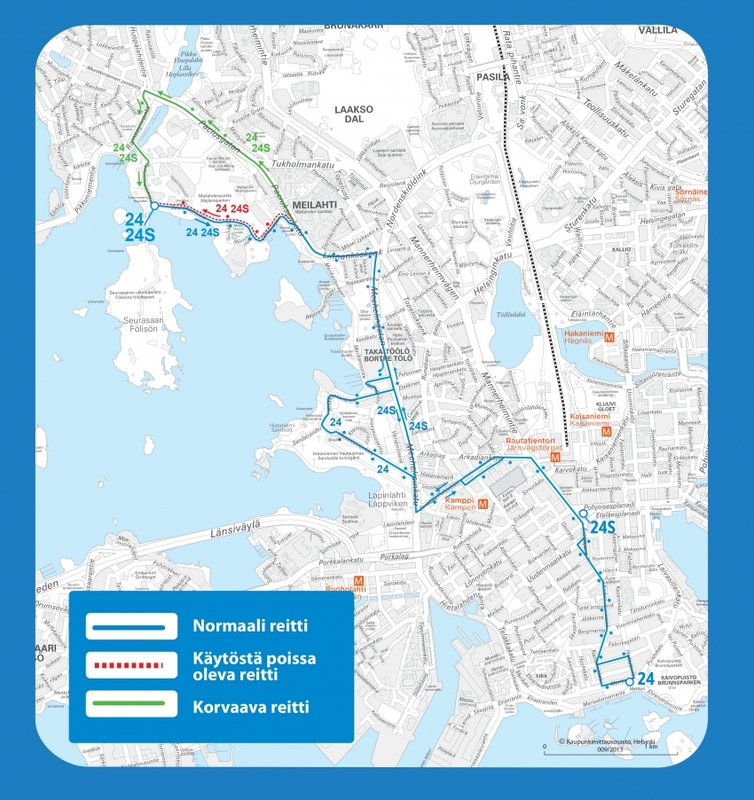 As Tamminiementie and Seurasaarentie will be temporarily one way (8am-6pm,) Helsinki internal routes 24 and 24S will run to Seurasaari via Paciuksenkatu, Munkkiniemen aukio, Ramsaynranta and Tamminiementie.